To continue as a market leader, one must push boundaries, and with the 365 GT4 BB, Ferrari and Pininfarina certainly did this! 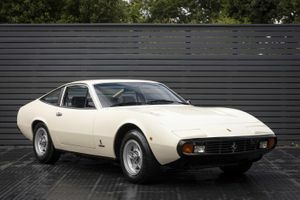 Previously, the top of the range Ferrari was the 365 GTB/4 ‘Daytona’, which featured a front-mounted V-12 engine, but its main competition, the Lamborghini Miura, was breaking the mould by using a mid-mounted V-12 engine, allowing Marcello Gandini at Bertone to design one of the most beautiful cars ever. 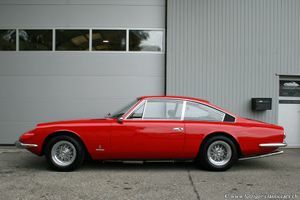 Ferrari’s retort was this, the 365 GT4 BB, which introduced a mid-mounted flat-12, allowing not only improved aerodynamics, but also a vastly lower and improved centre of gravity, resulting in a car with far superior handling characteristics. The all-new Ferrari flat-12 engine retained the same displacement as the out-going ‘Daytona’, but now featured belt-driven camshafts, a first for any road-going Ferrari. Power was available in abundance with 370 bhp, allowing a 0-100 km/h time in a mere 6.5 seconds, and a top speed of over 300 km/h! 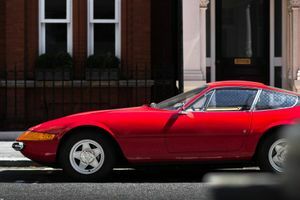 The pioneering Ferrari 365 Berlinetta Boxer was only produced between 1973 and 1976, with only 387 examples produced. 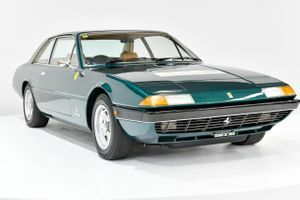 Of these, a mere 58 RHD cars were delivered to the UK Ferrari distributor, Maranello Concessionaires, making this exceedingly rare, especially when compared to the 156 UK RHD 365 GTB/4 ‘Daytona’s, 488 UK RHD Dino 246 GT’s and 235 Dino 246 GTS’. 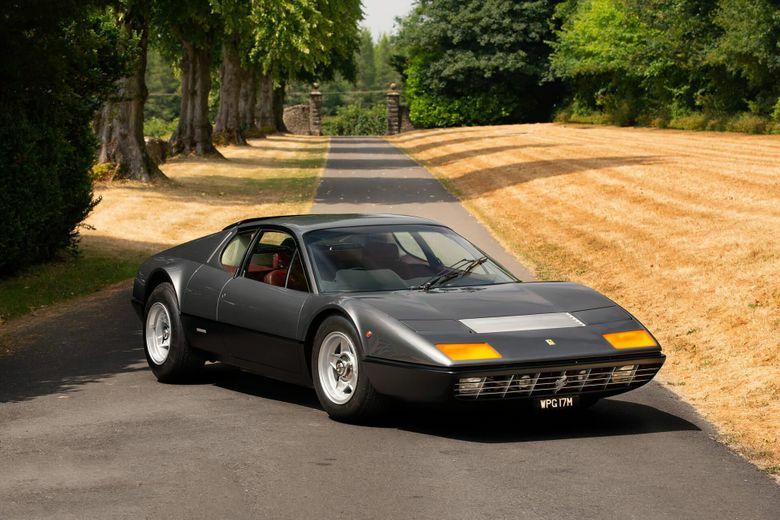 The 365 BB offered here, chassis 17909, was ordered new by Mr Pierpoint through the UK Ferrari importer, Maranello Concessionaires in June 1973. 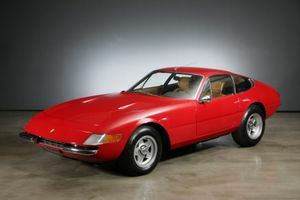 At the time, Mr Pierpoint already owned a Ferrari, a 365 GTB/4 Daytona, which he chose to trade in against his new 365 GT4 BB. 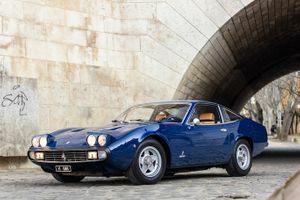 Copies of the invoice from Ferrari to Maranello Concessionaires are contained within this cars fabulous history file, documenting the cost to be 13,020,000 Italian Lire. Mr Pierpoint ordered his new BB to be finished in Grigio Fumo Met with Rosso hide and carpets, the same as it is finished today. 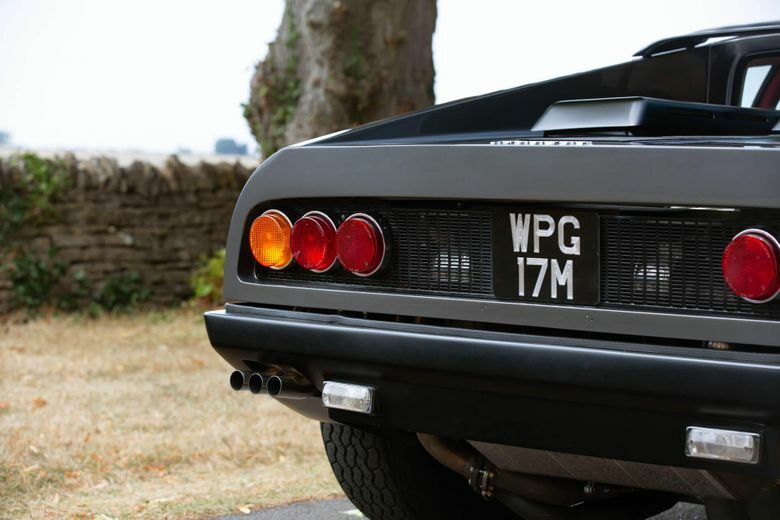 The car was delivered to Mr Pierpoint in 1974 and registered with the UK license ‘WPG 17M’, which it has retained to this day. 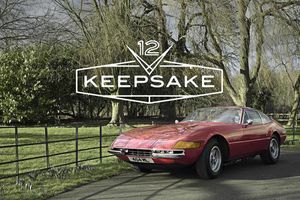 Mr Pierpoint retained ownership for several years until the car was sold to Julian Roberts of West Kensington, having briefly passed through Flaxyard Ltd in Chippenham. Nigel Glenister Mutter of Chelmsford was the next owner in April 1983, going on to maintain ownership for over 17 years! During this ownership, Mr Mutter fastidiously documented his maintenance of 17909, with many invoices and MOT’s retained in the cars history file. In 2014, this 365 BB was bought by its current owner, an avid classic car collector and contemporary musician. 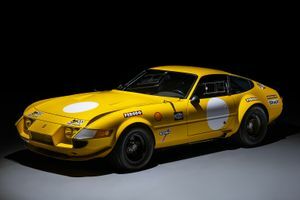 Here, this 365 GT4 BB joined a reputable collection, including an Alfa Romeo 6C Villa d’Este, Bugatti Veyron, Lamborghini Miura and Ferrari 275. For this collector, restoration and research is yet another passion. 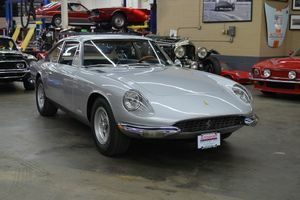 A knowledgeable and dedicated in-house team of specialists has been assembled and this 365 GT4 BB was rewarded with a restoration from 2014-2017. During this time, the car was repainted in its original colour of Grigio Fumo, whilst also benefitting from a thorough suspension and brakes overhaul, all the while retaining its Rosso interior. 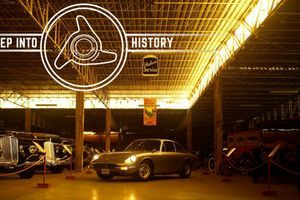 This restoration is documented in the cars history file with invoices and pictures. 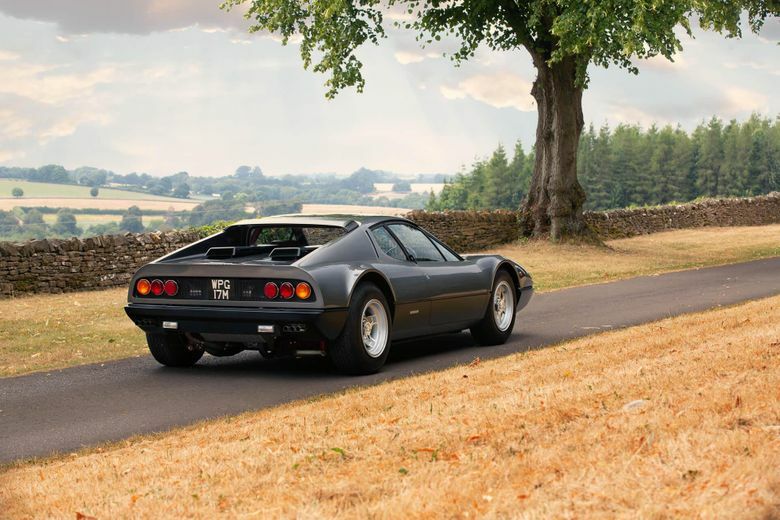 Upon completion, this 365 GT4 BB was invited by Ferrari to participate in their Cavalcade Classiche in 2017, celebrating the marques 70th anniversary. Assigned number 63, the car performing faultlessly, fresh from its restoration. Today, the car is presented in its original colours, with its original engine, as confirmed by copies of documentation from the Maranello Concessionaires Archive. 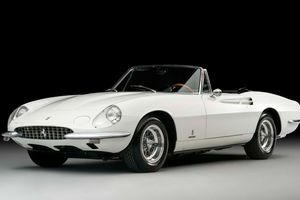 The car has recently been restored by Berryman’s in-house team of specialists, retaining its Rosso interior. 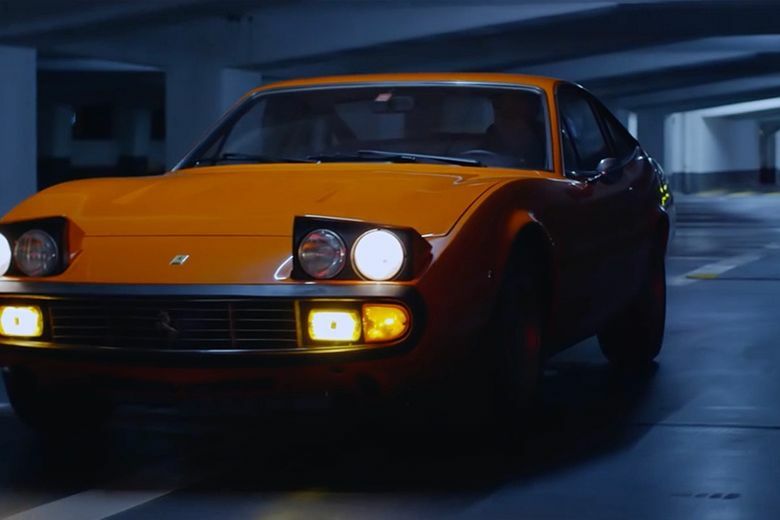 The 365 GT4 BB was a revolution for Ferrari, featuring a new 12-cylinder boxer engine derived from the Formula 1 car, along with a mid-engined layout that marked a turning point for Ferrari’s traditional front-engined solution!